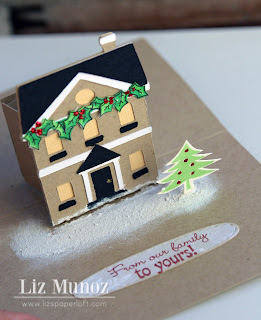 Liz's Paper Loft: 3D Wednesday ~ Pop Up Christmas Card! Happy Wednesday! Today is 3d Wednesday at My Creative Time! Usually that means anything but a card, however today it's just the opposite! I have to admit I struggled with my card...not the concept, just the execution! lol! 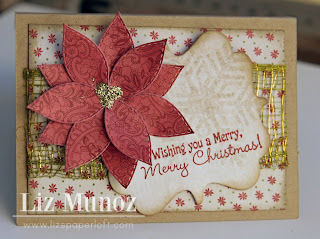 I used My Creative Time's ornament die for my poinsetta, then added some gold stickles for the center. For the inside of the card I cut the house from Pop Up Neighborhood, the holly, tree, and sentiment stamps are from My Creative Time. Colored the holly with copics. I will be back today with a second post! Okay, this is the cutest little pop-up scene ever!!! I love how you put your adorable house in snow and even added a pop-up tree! Precious! This is beautiful! I want to make a flower using that die...I just keep forgetting...lol. Love the inside scene, great job! OMGosh! I love the poinsettia but your winter scene inside blew me away! Beautiful! 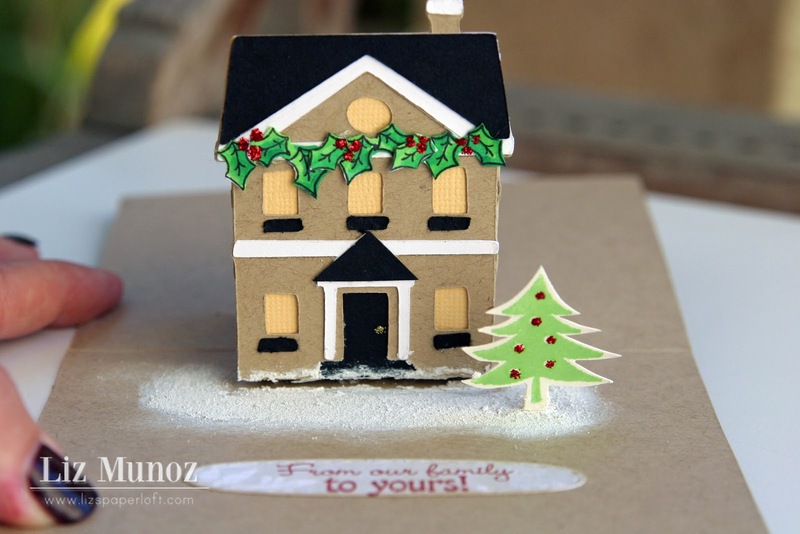 I've never seen anything pop up inside a card-I LOVE the little house! Great job. Liz ~ this is BEAUTIFUL! I don't think you struggled at all!! 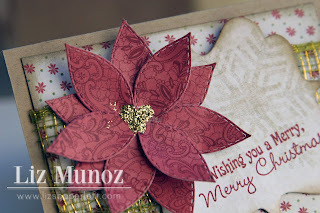 LOVE the poinsetts ~ I can't wait to try this!! LOVE the ribbon in the background too!! Well isn't that CLEVER to use that cut for the inside and the holly from that stamp set!! PERFECT coloring and love you snowy scene!! Awesome job!!! All of your projects were great today...3 posts...Whew! The pop up card is something else. That house is smaller than the oval die and to add snow is perfect. The Poinsettia is perfect with the gold stickles. So you can make a flower with the ornament?? Very Clever.